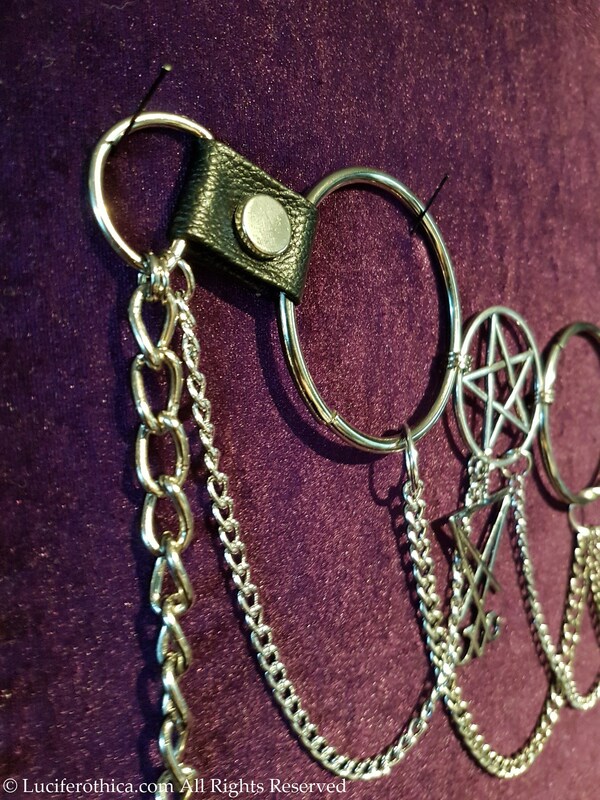 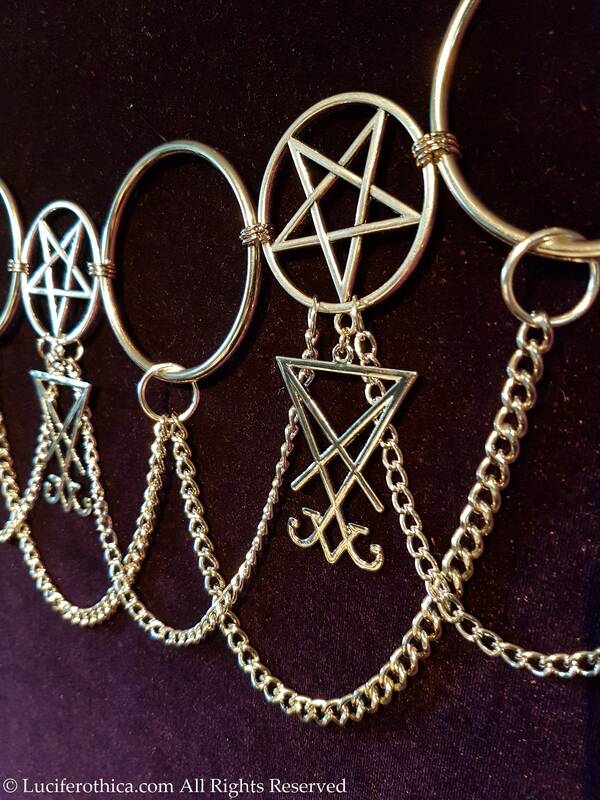 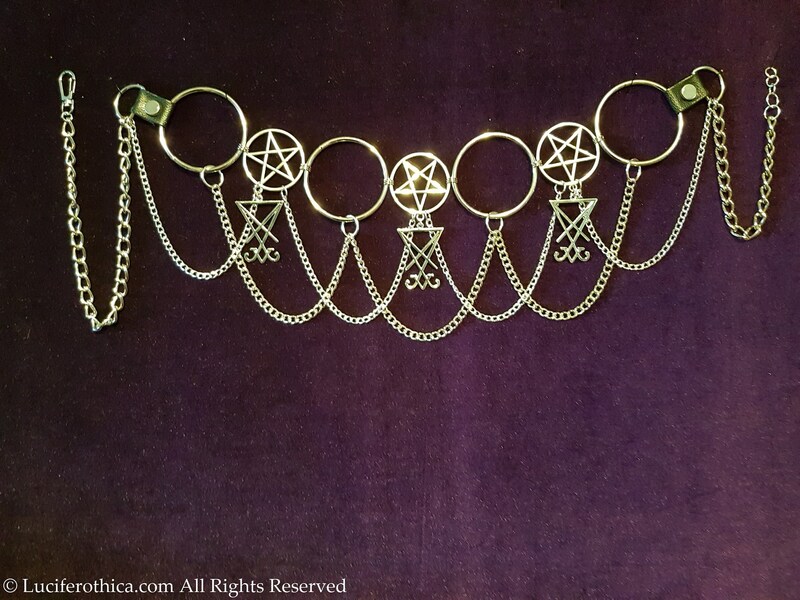 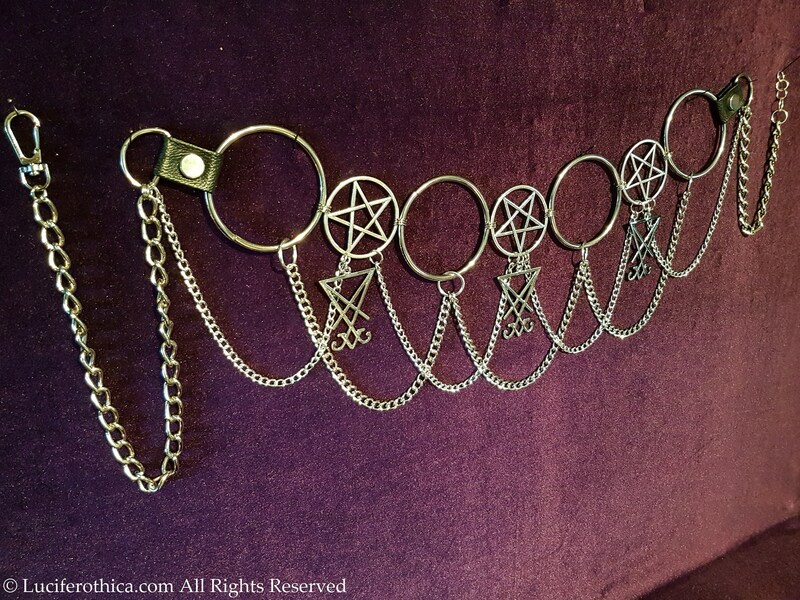 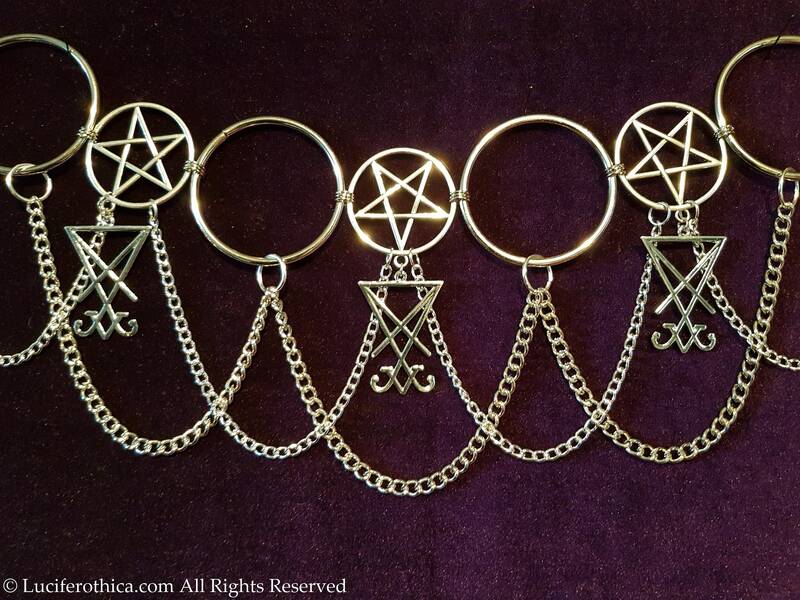 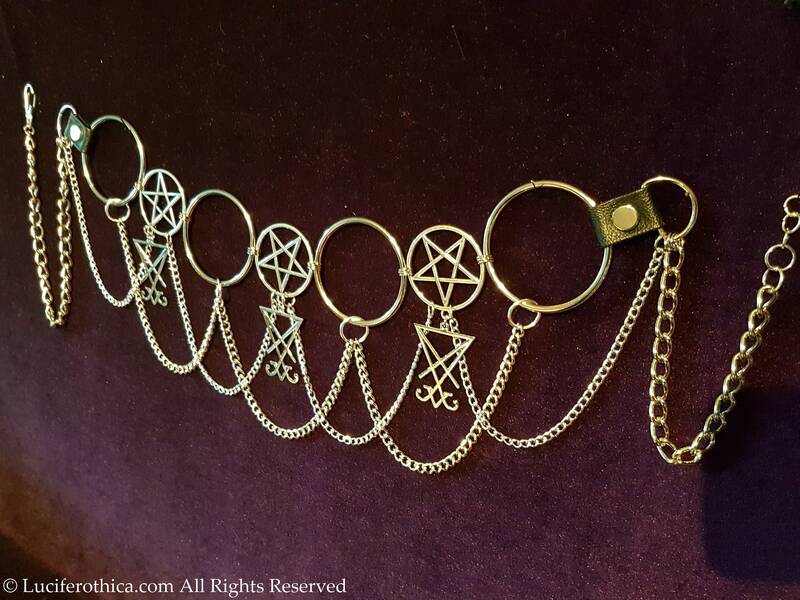 Sigil of Lucifer Pentacle Hip Chain Belt. 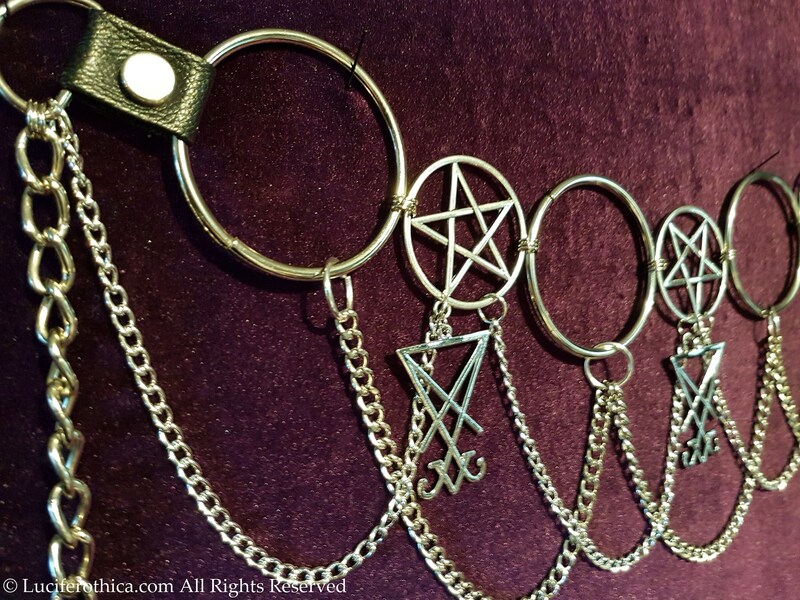 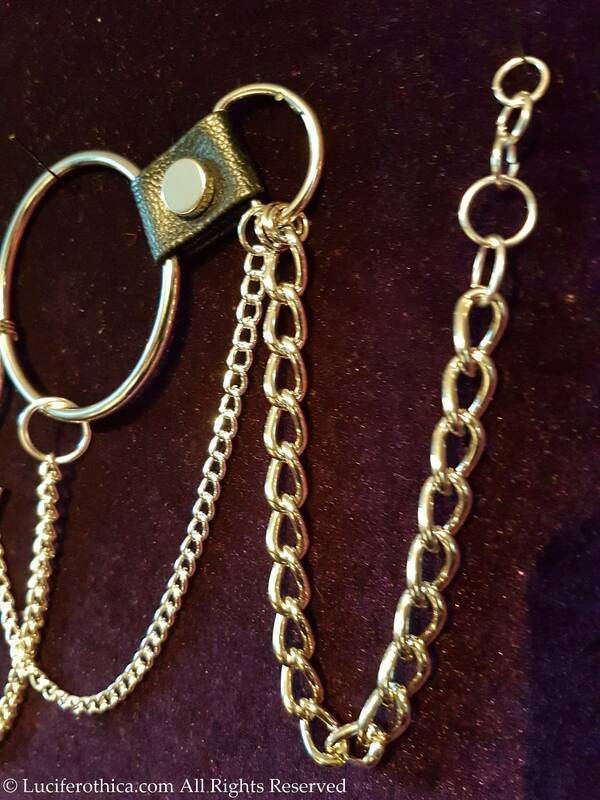 - Lots of decorative chains & 2 pu leather straps at the sides. 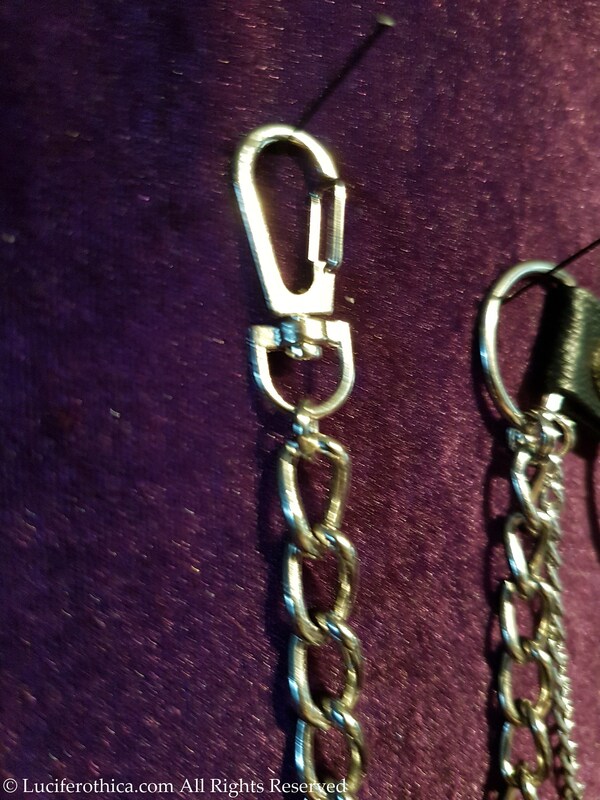 - Big sturdy lobster clasp to close.